When I last wrote about following the beautiful game attempts were being made to shoe-horn the successor club to Glasgow Rangers into the first division of the Scottish Football League (SFL), the second tier of the professional game, having been prevented from crow-barring them into the first tier – the Scottish Premier League (SPL). As I said then, this attempt flew in the face of everything a sport is suppose to be about – a game played by common rules the results of which are determined solely by the sporting endeavour of the teams. The parachuting of an entirely new club, leap-frogging dozens of others, would do away with the inconvenience of playing football matches and winning them. The reason for the Scottish football authorities attempt to do this was the claimed Armageddon that would befall Scottish professional football if one of the biggest clubs were to lie outside the top flight. Speculation was rife that TV broadcasters would walk away and sponsorship would fall massively. I covered it on this site not because of my own interest but because it appeared to present a transparent case of money-making triumphing over a corner of human activity which had not yet been completely subordinated to the drive for profit that otherwise determines so much of life. The pressure of football fans of all SPL clubs compelled their owners to reject the parachuting of the new Rangers into the division and the equally strong reaction of the fans of the SFL ensured that the new club was not able to unfairly jump ahead of many of its member clubs into its division one. Instead it started out life in the bottom tier, division three, another victory for fan power and defeat for money and bureaucratic interests. The victory however was only partial. By right the new club should also not have been allowed into the third division since it did not qualify to be there by virtue of it not having three years of audited accounts. The rule was broken by the football authorities claiming the new club was availing of an endowment of the old dying club, a very dubious justification in itself, except the old club hadn’t got any audited accounts for its most recent year either. The reason it didn’t was because it had been embroiled in a long-standing dispute with the tax authorities over its payments to players by way of employee benefit trusts (EBTs), which gave players untaxed income. This allowed Rangers to sign players they could not otherwise afford, win matches and trophies they might very well not have won and deprived every other club in the SPL of deserved income, the amounts involved reaching tens of millions. Under its last ownership Rangers simply stopped paying all taxes, including PAYE and National Insurance. In fact it stopped paying anyone, including other clubs it owed transfer fees to and the local newsagent. A liquidation process quickly followed when it could not come to an arrangement with its creditors to pay them only a fraction of what they were owed. New owners bought the assets of Rangers at a fraction of what they had been valued, including the club ground and training complex, through a process that saw the words ‘gratuitous alienation’ (look it up) become common parlance of many more familiar with terms such as zonal marking. This new ownership then proudly declared that the new club was, unlike most others, debt free! While the directors of Amazon, Google and Starbucks have tried their best to look contrite when confronted publicly with their tax avoidance the directors of Rangers complained about the unfairness of them having to play football in the third division. There was a bigoted agenda against them apparently, although this did not appear to include the Scottish Government which, it was reported, had lobbied on behalf of the tax dodgers. The future independent Scotland that is simultaneously claimed would be a social-democratic alternative to a Tory UK and a haven of low corporate taxation had some confirmation that the latter was closer to the truth, should such an eventuality arise. The First Tier Tax Tribunal eventually reported, and to the surprise of most found that the EBT scheme was legal although in the fog of Scottish media comment the fact that tax evasion was otherwise proved was lost. Rangers had been vindicated ran the headlines! If only Starbucks could rely on such a sycophantic press. The decision effectively meant that money to players were loans not income and thereby not taxable as such. The decision, unusually, was not unanimous and the dissenting opinion had rather more to say on why the EBTs should have been taxed than the majority had to the contrary. The precise legal hair-splitting that enabled such a majority decision can be pursued on the net. On this front however it isn’t all over yet – HMRC is appealing the decision. A second threat existed to the new club. Rangers had failed to lodge the terms of the ‘loans’ with all the other contractual information required by the Scottish Football Association (SFA) to properly register a new player. Beyond a precaution to ensure that clubs are really independent and the sport corruption-free the rules in this respect are, or were known to be, particularly strict in application. Non-league Spartans had been thrown out of a cup competition and fined a quarter of its annual revenue because it had failed to date a form submitted to the SFA. It had submitted the date but was required to do it twice and hadn’t done so. Just imagine the magnitude of the punishment to Rangers for failing to declare in full the documentation in relation to players’ contracts for over a decade! The ruling appeared to say that once having registered the players wrongly the player was properly registered and eligible to play and only by it being disclosed could the registration be revoked. You are innocent until you are caught! Except even now that you have been caught a slap on the fingernail is the limit of punishment. Normally incorrect player registration turns the result of every game the player appeared in into a three- nil defeat. But, according to the panel since no sporting advantage arose no sporting penalty should be imposed. What exactly Rangers were attempting to do buying players they couldn’t afford if not to gain sporting advantage the learned panel did not say and dared not imagine. The decision on the case might appear decisively influenced by the evidence of an SFA official, whose responsibility it was to police the registration process. How convenient then that this rather strange interpretation of the rules also appears to absolve the SFA of culpability for Rangers cheating. The claim of other club’s fans that the SFA showed itself once again to be a Rangers protection racket are indeed hard to deny – so they will be ignored and when not ignored ridiculed. Once again however this story of money and bureaucracy versus sporting integrity and the wishes of fans may not be over. A future article on this site reporting another victory for the latter may depend on these fans uniting across their various club rivalries to demand that the crimes of Rangers are properly punished and the Augean stables of the SFA are cleared out. In a sport increasingly dominated by money interests and self-serving bureaucracies such an event would be an inspiration to the millions of working people around the world who love the game and would like to see it beautiful again. Capitalist ideology tells us that the consumer is king and that the decisions of millions of consumers decide what production takes place. If companies fail it is because they don’t sell goods or services that people want or at a price they are prepared to pay. There is just enough truth in this to give it the credibility to make it widely accepted. What it leaves out, among other things, is that production also has to make a profit and that indeed this is the main reason any production takes place at all. Given the ownership of the means of production in the hands of only one group of people, these people thereby being called capitalists, and the exclusion of others, who must be required to provide workers for these owners, it is the relations of this production that, more than anything else, determines the wealth and income of the respective classes. This in turn determines to a large degree the pattern of consumption, which is further conditioned by advertising and monopoly suppliers etc. The idea of consumer as king appears as a joke set beside the experience of recent bank failures to process even the simplest transactions on behalf of their customers, mis-selling of insurance and pension products, multiple products with safety problems, food that is positively harmful, the bottled water scam and simple, homogenous products like gas and electricity, which is sold in such a bewildering array of ‘choices’ that you can switch supplier and end up paying more. No wonder there also exists a consumer rights industry, which one could hardly imagine if what is claimed for capitalism were true. The clash of human need with the demands of profit was analysed in detail, starting in its most simple commodity form, in Karl Marx’s Capital. Commodification and all its contradictions have since spread over an increasing variety of human activities. Sport has for some time become a global industry, more and more determined by the demand for profit. Since the competition demanded in sport is not that trumpeted by capitalist ideology the clash is all the more ironic. Sport must have room for chance, accident, unexpected triumph and unexpected failure while sporting contest subject to the requirement for profitability more and more implies certainty and the elimination of the possibility of monetary loss. In the recent Euro 2012 championship some things didn’t change, like England going out on penalties. But we also saw commercialisation right from the off with the child escorts entering the pitch dressed in the colours of McDonalds. How long before the kids are asked to hold a Big Mac in one hand while holding on to the player with the other? We also saw the hypocrisy on display that goes with the increased politicisation of the game as team captains read out statements in support of diversity, opposition to racism and homophobia, support for the environment, world peace, healthy eating and helping old ladies across the road. (OK, I made some of this up.) The real priorities of UEFA were revealed when it fined the Croatian Football Federation €30,000 for the display of racist banners by their supporters at one game while imposing a fine of €100,000 on a Danish player for revealing the name of a bookmaker on his underpants while celebrating a goal. 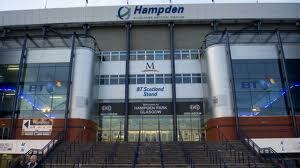 Apart from the Euros the biggest football story of the summer has been the impending liquidation of Glasgow Rangers, claimed by its supporters to be the most successful club in the world, although I expect Real Madrid and about a couple of dozen others might find decent grounds to demure. This is not just a sporting story but involves many of the failings that have been played out in the wider economy. The collapse of Rangers is not so much analogous to the collapse of the banking system in 2008 as an integral part of it, as it boomed and bust propelled by the reckless lending of Bank of Scotland. Allied to this was massive tax evasion and failure to stick by the rules of the national football association, which requires that the details of all payments to players for playing football are registered by the club with the Scottish Football Association (SFA). It is more or less clear that this did not happen. Failure to do so potentially renders most of the games involving these players 3 – 0 defeats. Cue potential loss of all those trophies achieved by cheating. Regulatory failure, just like the banks, is on display as the footballing authorities, often headed by ex-Rangers Directors, failed to notice all this even though some had been responsible for it in their previous career with the club. Now one of these individuals, as President of the SFA, is nominally at the head of the organisation responsible for investigating these potential misdeeds and applying the appropriate punishment, though he availed of the tax scheme himself! Corporate failure, greed, arrogance , criminality and cheating now join a long list of accusations against a club renowned for sectarian discrimination and violence, but which according to the Scottish First Minister is part of the fabric of Scottish society and should be saved. At the end of the day however Rangers is just a football club. The State will not intervene to save it despite some of its supporters inflated sense of entitlement expecting and demanding it. The Chairman of one club described it as a dead parrot or in the words of Monty Python – it is not resting or stunned, pining or sleeping, tired or shagged out; it is deceased, ex, finished, gone, and shuffled off its mortal coil. Such is the ridicule now heaped upon the club. Despite this Rangers were a huge club in Scotland and central to the whole professional game and to the money to be made from televising it by Sky and others. 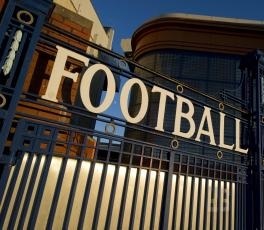 The regulatory authorities thus threatened all other clubs with financial Armageddon if the new ‘Rangers’ company, which has apparently bought over the assets of Rangers, was not allowed to go straight into the Scottish Premier League, avoiding all those minor technicalities like winning football matches to get there. The mainstream media, which feeds like a frenzy on the rivalry between Celtic and Rangers and the like of which simply does not exist in Ireland, dismissed the prospect of anything else as the ravings of ‘bampots’. Then something extraordinary happened. The requirement of ‘commercial reality’, of profit and the iron laws of capitalism came up against the force of sporting integrity, in other words football is a game where 22 men or women kick a ball and the team that scores the most goals wins. It is not a consumer product in which the clubs that generate the biggest TV audiences get to dispense with this inconvenient requirement. This force was embodied in the vast majority of ordinary fans of all the other clubs in the SPL who didn’t want to watch a version of wrestling, didn’t want to watch a rigged game and at bottom didn’t want to be treated as mugs. A little respect for them was required when the footballing authorities, the old Rangers and the new company were displaying quite the opposite. Through well informed blogs, such as The Guardian’s Orwell Prize winning Rangers Tax Case, the truth about what was happening at Rangers was revealed, and through on-line polls organised by fans, polls by clubs themselves, newspaper polls, supporters associations’ meetings and other consultations by the clubs made it clear that the vast majority of football supporters simply would not accept the new company in the SPL. The way had looked clear for the new company to be voted in by the other clubs’ Chairmen but by the time the vote was taken on Wednesday this week all but the new company voted yes, with ten voting no and only one abstaining, much to the anger of its own supporters. Not only had the authorities been thwarted but Sky and its owner had been told that there is something more important than its profits. All this has been an almighty shock to the remnants of the establishment club, the authorities, mainstream media and many commentators. It has been achieved by the spontaneous action of supporters across Scotland and beyond but the battle is not yet over. Having failed to shoe-horn the new company into the SPL the footballing authorities are trying the same strong-arm tactics on the clubs in the 2nd, 3rd and 4th tiers of the league structure, organised in the Scottish Football League, in order to put the successor to the disgraced club into the 1st Division of the SFL. Will the fans of these clubs prevent this as well? We shall see. This display of power by fans has given everyone a glimpse of what can be achieved but so much more can be done. The various supporters associations of all the clubs must find a way of meeting, discussing and acting together to continue to exert their collective will. A permanent vehicle for their organisation must be created to develop the game in the future to the benefit of everyone involved. The demise of Rangers has demonstrated the current bankruptcy of the whole organisation of the game in Scotland. Clubs such as Motherwell and St. Mirren are moving to refound themselves as community clubs owned at least partly by their supporters. At the end of the day this is the only way that the fans can assure themselves that the game they love will retain its integrity and not become the plaything of rich tycoons from the other side of the world. Coincidentally the ‘Financial Times’ this week had a pull-out section on Co-operatives and employee-owned businesses. This is just the alternative required so that the working people who support and participate in football can run their own sport. The FT pull out demonstrates the practicality and benefits of such a model. It reports that the UK has 5,900 co-operative businesses; compared to 4,800 three years ago and these businesses are more resilient, with 98 per cent still in operation after three years compared to 65 per cent of others. It gives the example of how such companies can be run, by reinvesting into the business, sharing revenue and helping other co-operatives. It reports on one company in the North of England in which there is no Chief Executive – “big jobs are split into teams of people”, there is a good pension, job security and flexible hours and plans for regular pay increases. The books are open to all (which would have prevented the Rangers disaster). “The general secretary can get to every Blackburn Rovers game. He works in credit control two days a week, drives a forklift on Thursdays and catches up on paperwork on Fridays. Everyone has stints in manual and office work.” This company has been around for 35 years and the model could be easily adapted to involve fans in the ownership and running of the clubs and of the league. Behind all the threats of financial collapse lies the reality that Scottish Football must change. This does not require selling out on the vey fundamentals of the game but nor does it mean turning inwards. One football blog has proposed that Scottish teams join the English league and that each club finds its level within it. This at first sight might seem the very antithesis of the alternative above. I believe it is not. The rebuilding of Scottish Football on the foundations of worker and supporter ownership and control could seek to export and demonstrate this model to fans in England and further afield. The late, great Scottish manager Jock Stein said that “football without fans is nothing” and the fans have just proved it. That other great Scottish manager Bill Shankly, who plied his trade in England, said that “the socialism I believe in is everyone working for each other, everyone having a share of the rewards. It’s the way I see football, the way I see life.” The ordinary fan in Scotland has set a tremendous example of challenging authority and winning; a small battle in a very large war, but most importantly – a victory!